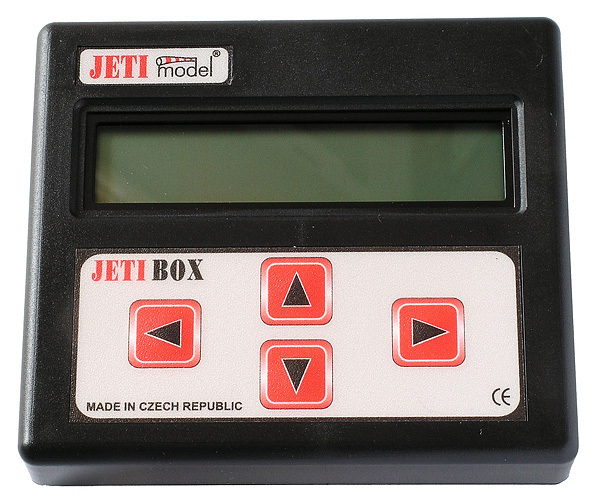 JETIBOX Compatible products use powerful software to allow easy setup and reading of data using a simple menu driven display on the JETIBOX terminal. It is currently possible with the use of the JETIBOX to program controllers in the SPIN series; the CAR Sensor 3000; REX JBC receivers, and the new transmitter modules, receivers and all accessories in the DUPLEX system. With the JETIBOX connected to DUPLEX transmitter modules, it is possible to have continuous wireless communication with any JETIBOX compatible device in the model.